Synth guru Ross Kelly investigates Moog’s iconic Minimoog synthesizer best known for its famous sound and groundbreaking design in this spotlight series exploring the vintage gear that has had historical influences on music. 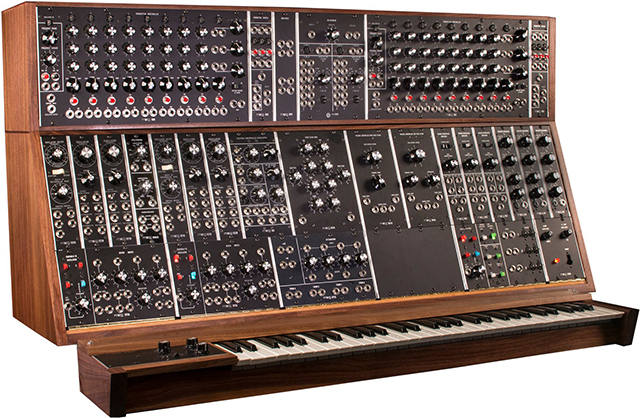 In almost any conversion on the subject of synthesizers, one name inevitably comes up: Moog. This is no coincidence, Dr. Robert A. Moog, better known as Bob, created the synthesizer as we know it today. In 1970, he released the Minimoog, the first fully self-contained portable synthesizer that did not require patch cables for routing. It put synthesizers in the hands of musicians and set the stage for all synthesizers that would follow. Over 40 years later, it is still sought after by musicians around the world. In the early 1950s, Bob Moog began a company that sold tube-based theremins, an instrument that is played without being touched. The sounds from this type of instrument are often associated with classic horror movie sound effects. Eventually, technology moved on from the tube to the transistor, and Bob Moog released the first transistor-based theremin. In 1962, Moog wrote an article for “Electronics World,” which explained step-by-step how to build a theremin, which later inspired Hofstra University Professor, Herb Deutsch to begin designing synthesizers. 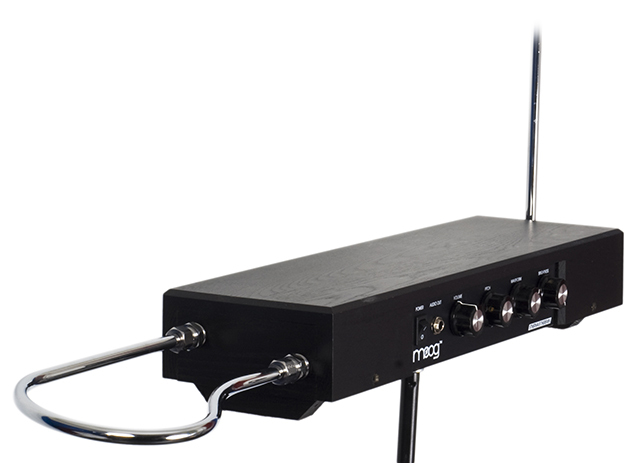 After meeting at a conference in 1963, the two decided to collaborate on the design of a musical synthesizer based on concepts that Moog was working on. Herb Deutsch was a highly trained and talented musician who was able to help Moog with several ideas on how to make the synthesizer more musically expressive. For example, Deutsch insisted that the system be controlled by a piano-type keyboard. By 1964, the first prototype of what would become the “Moog 900″ modular synthesizer was being demonstrated to the public by Deutsch. At the same time, Moog continued to build and develop his modular synthesizer system through the rest of the decade, streamlining and fine-tuning the design with help from other musicians. The completed 900 model instantly proved to be a huge step forward for electronic sound synthesis. However, it was large, complicated, and expensive. Most of them were sold to experimental music artists, studios, and universities. As the 60s marched on, Moog and Deutsch’s creation began to receive more public attention. Some of this achievement came from a demonstration booth at the 1967 Monterey Pop Festival which put the Moog synthesizer in front of mainstream artists like The Doors and The Rolling Stones. The most significant attention in the music industry, however, came the next year after American musician and composer Wendy Carlos released her commercial breakthrough of a Moog recording on the album “Switched-On Bach,” which became one of the highest-selling classical music recordings of its era. The success of the album ignited a heap of other synthesizer based records in the late 1960s to mid-1970s. While modular synthesizers are effective in the hands of experienced users like Carlos, they are intimidating and prohibitively expensive for the average user. Bob Moog was well aware of this. In an interview Bob says “These early modular instruments looked more like telephone switchboards than musical instruments because you had lots of patch cords that connected the parts together.” This led Moog and his engineers to imagine a new synthesizer that would be portable, easy to use on stage, and affordable enough to land in the hands of working musicians. 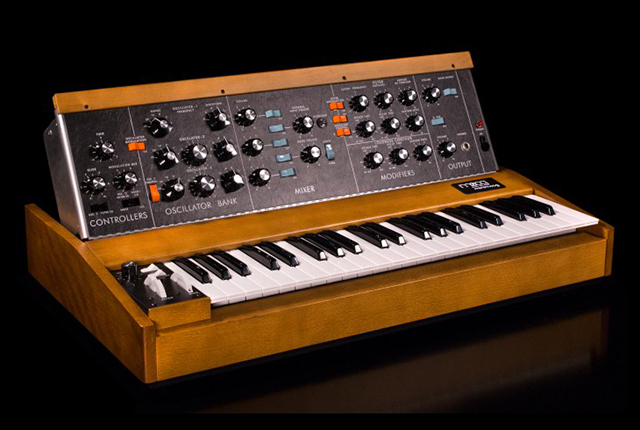 This final version, released in 1970, is the Minimoog we know and love. The design they settled on consisted of three voltage controlled oscillators (VCOs), a noise generator, a 24db/oct lowpass filter and two ADSR envelopes (one dedicated to the filter, the other dedicated to the oscillators), and a voltage controlled amplifier (VCA). The modules chosen for the final design allowed for a much simpler operation compared to the modular version, while also offering a wide range of sounds and functionality. 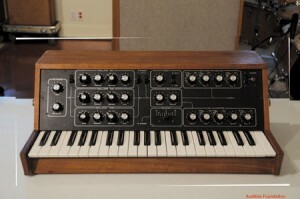 The Minimoog specifications became the standard for analog subtractive synthesizers, and are still the standard layout used in synthesizers produced today. The modulation and pitch wheels they invented are now seen on just about every full-size synthesizer and MIDI controller in existence. 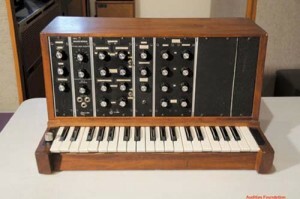 Not only did the Minimoog have a huge impact on the marketplace, but it also had an extremely long production run since it rolled off the production line in 1981. Most synths today are considered a major success if they are in production for more than two years! Minimoog Model C, almost there! The Minimoog also helped to mold the sound of disco in Giorgio Moroder’s famous collaborations with Donna Summer. By the end of the 70s, artists like Gary Numan, Ultravoxx, and Kraftwerk had adopted synthesizer-heavy sounds that featured the Minimoog prominently. These artists shed great influence on the synthpop, industrial, and new wave of the early 80s. 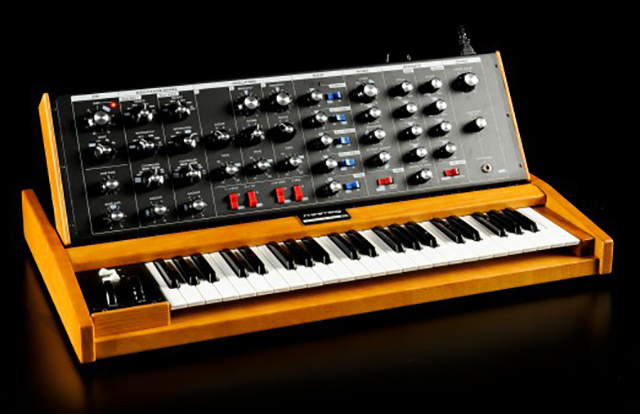 Beyond the Minimoog’s design legacy, its sound is still one of the most sought after. Nearly every synth has some version of a Moog bass or lead sound included in the presets. 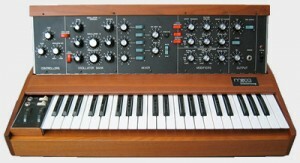 There have also been many hardware and software emulations of the Minimoog. 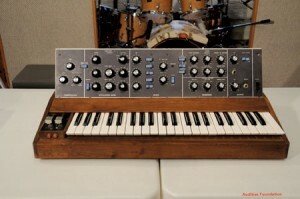 For example, Studio Electronics (a company that started out transforming original Minimoogs into MIDI-enabled rack modules) has made a few synths designed to emulate the Minimoog, most notably the SE-1 which borrows heavily from the look and layout of the original. Bob Moog himself rebooted his business in 2002 with the release of an updated version called the Minimoog Voyager. This modernization of the original offers enhancements such as patch memory and MIDI that brought it up-to-date for a modern studio environment. Ross Kelly is a Chicago-based DJ, producer, and synth guru who is a one-half of Night Moves, a cosmic disco party at Danny’s in Chicago. He is also a partner at Kokorokoko Vintage, an 80s and 90s themed vintage clothing shop in Chicago.